Does Abraham's leader trait work in the distance mode? You have an assault on your team in the scavenge mission.. Do you perhaps have a badge on Abe that gives him a damage boost if an assault is on the team? 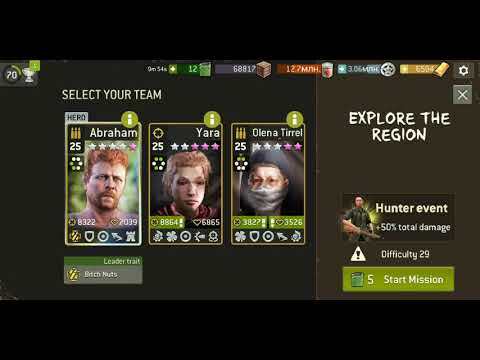 In the Distance team you have Michonne instead! Shame on me I missed that Thank you @Mystique, you are right! Why cannot I react with JSS to my post?